Do you have a DVD burner and want to edit and make your own DVDs, but just need your video digitized by us? We can do that! This is a DVD Makr exclusive service you won't find at the "Super Stores" or Drug Stores! A regular DVD created to play in a DVD Player has the video as ".VOB" files (Video OBject) inside the DVD's "VIDEO_TS" folder. Unless you have special editing software, you will not be able to edit the video from a DVD we make for you. However, if you want to be able to edit and create your own DVD, then tell us to make you a Data DVD as either an "MPEG-1" or "MPEG-2" type Data DVD. 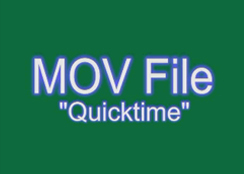 (MPEG-4, MOV, or Real Files because of the conversion time factor, are slightly more expensive). Most consumer Editing programs cannot even view or edit a DVD's .VOB files, usually they won't even allow you to see or choose the file. Most purchased editing programs ARE able to use MPEG-2 video to edit and create a DVD. However, if the only editing program you have available is Windows XP's "Windows Movie Maker" * it usually cannot view or edit MPEG-2, but it can use MPEG-1 (note: this program can only burn a Video CD, you will need to use a different program to burn it to a DVD). At top, there are 6 samples of each Video file we can produce for you (they are only 5 seconds each). Right-click on Box, and "Save Target As...", then direct to your Desktop, and it will download that type of file to you. Note: the .VOB file is a zipped folder: save the actual file: "VOB File (S11)" on your desktop then open your editing program to see if it will allow you to import that file. If it does (rare), then test to see if your program is able to use it or not...then make sure your program can HEAR the .VOB file's sound (it's the only one test file that has sound), as a some programs might let you see it, but they won't support the sound unless you purchase additional plug-ins. MPEG-2 is the best to use for editing in Windows PCs, but if your software cannot use it, then we can create the data file as an MPEG-1 or MPEG-4 for you instead. If you request this type of transfer, then we will send it to you on a DVD in 2 GB increments or smaller depending on length. If you have a 2 hour video, you will receive 2 files on the DVD, and when you import the 2 files back-to-back into your editing program, there will not be a gap, it will play again as a 2 hour un-interrupted video, and will be fully able to be edited. 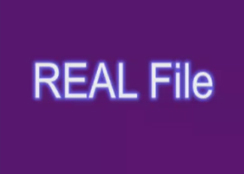 We can also create streaming files such as "Quicktime" and for "Realplayer". * "Windows XP" and "Windows Movie Maker" are registered trademarks of Microsoft Corporation, "Quicktime" is a registered trademark of Apple Computer, "Real" and "Realplayer" are registered trademarks of RealNetworks. Save money on editing. 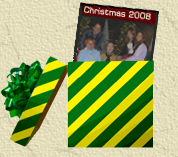 Our regular rate is $30/hour for Full Editing, or $5 per each item to remove. Using this service, you can custom-edit any way you choose. Inexpensive: only $20 from each source (Betamax, PAL, SECAM add $5.00/Tape), up to 2 full hours (plus shipping, handling, & FL sales tax). Note: If you wish for us to preserve a permanent Archive record for you, please add $3 to your order per DVD. This is helpful should you wish to order more in the future, or to replace yours if they become lost or damaged. The price for a replacement DVD is the current price of making a copy.